Gliding exercises are a wonderful way to connect to your body to transform your physical energy from your core and lower body to help you find your personal power and move forward in your life! Gliding exercises are a fascinating new way to strengthen and tone your entire body. This article focuses on lower body strength training, but you will see from the video below (scroll down to jump to the video) that by using gliding discs for exercising that you will also work your core and your upper body. The distinction in this article for lower body strength training is to help me organize my articles for gliding, to give you a place to start. Please also see my more focused gliding exercises for the core, and for the upper body. Before beginning these gliding exercises, you may wish to read more about my philosophy of using gliding discs to become unstuck. I use the concept of gliding as a metaphor for changing your habits through the physical action, to move your mental and emotional energy as well. We are all familiar with the body-mind connection, and what you do for your physical being has an impact on your entire being. When you meditate on gliding and flowing with your entire life as you do these exercises, your body becomes the tool for change. What a lovely metaphor, don't you think? Gliding exercises can be very difficult or they can be very easy. It is what you choose to make of them. The exercises I show in this article are moderate to difficult. However, they can be adapted for seniors, as my article on Gliding Exercises for Seniors show. You can also just dance and glide to the music, doing your own interpretive thing with your discs on your feet. Start out slow as you learn where your skill level lies. Then keep gently pushing your edge to improve. Keep that changing nature as quoted above. Change is really the only constant in our lives! So go with the flow and glide forward! Use your body to transform the rest of your life. Transformation must begin somewhere, so why not start today with your body? Gliding discs can help you! Breathe and Glide! As I suggested in my introductory article on gliding discs, that you can make these exercises an intuitive movement exercise. Go where your body desires and use my videos as a starting point only. Focus on your range of motion to see where you are stuck, where you need transforming. When you find where you are stuck, slow down, breathe and with the exhale try to sink or move deeper. Feel the movement and feel the flow. Go inward and focus on becoming unstuck. Meditate on the metaphor for your life. 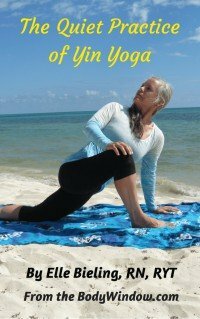 While you are doing your lower body strength training, if your hips are stiff and stuck, meditate on what it is that is keeping you from moving forward? Say, "I am gliding forward with grace and ease." "My body-mind-soul glides and flows with ease." "I am fluid and free!" To see more articles on how your energy becomes stuck in certain parts of your body, see my foam rolling articles. I won’t repeat this information here. The first section in the video shows me doing standing exercises. Back lunges and side lunges, then circles. It is best to do your leg lunges toward the back to keep the best form and maintain your balance. The gliding discs take a bit of getting used to, so you may want to study and follow the video closely at first. The balance required to do the leg circles is very difficult, so be careful! The next clip shows me gliding for my lower body strength training inside on the floor. I used a carpet, only because my tile floor feels cold. I could have just as easily used the gliding discs on the tile floor. Or I could have taken it outside on the deck like the previous clip. I filmed this in the Fall, and you never know at 8000 feet, what the weather will be like in October! A few days went by in-between filming, and it went from warm, sunny and mild (filmed outdoors) to quite cool (filmed indoors by the fire!). Indoors on the tile floor, it was necessary for me to pad my hands with a folded yoga mat. You could substitute the mat with a folded blanket as well. If you are working on a carpet you may be fine without any padding at all. It is imperative that you chose the correct type of gliding discs for your floors. Click on the link here to see the difference between the fabric discs for using on hardwood floors, and plastic discs that are used on carpet. In the 2nd clip, I do the exercises from the plank position, on my hands. If you do the same exercises resting on your entire forearms, it increases the difficulty by requiring more core strength. I show this in my video for gliding exercises for a core workout. Then in the final clip I show myself outside again, doing the "Spiderman crawl." This is a very easy and very fun move. If you do it for a while, though, the strength required to do it is substantial! All these moves will increase your heart rate, so doing these gliding exercises are a great way to get your cardio. Continue your gliding exercises and learn to become unstuck, in your body, your spirit and your life! I hope you enjoy the video and that it will help you transform your life by gliding into yourself! Note: I do not use any voice-over, to help you learn to use your feeling, sensing, right brain, instead of your overactive, rational, thinking, left brain! May your body become fluid and free as you do your gliding exercises. May your gliding discs be the tool for transformation as you glide your body through these lower body strength training exercises. All bodywork, when done mindfully, will heal your body-mind-soul!